This guide will help you understand the benefits of self-hosting WordPress rather than using other hosting providers like GoDaddy, Squarespace, or Wix. This guide is for people who are researching the costs of hosting WordPress on Amazon Web Servies. Whether for a blog or for a business website, there are cost advantages (and other benefits) of self-hosting WordPress. People who are looking to build a website for personal or business reasons are faced with a ton of choices. Every day you see marketing campaigns for sites like Wix, Squarespace, and GoDaddy. These campaigns tell you to use their services to build your dream website. They allow you to customize basic templates and easily launch a website fast. This makes it very approachable for non-tech-savvy people to build a website. Although these hosting providers sites present a good-looking, easily customizable website, they have drawbacks. 3rd party providers prevent the web admin from accessing the backend server. Because of this, admins are limited on what they can customize. Most of these hosting providers actually run their infrastructure directly on the public cloud providers. They buy hosting from Amazon and Microsoft and re-sell the low-cost resources to consumers at a marked up price. Today, we’re going to learn the benefits of cutting out the middleman. 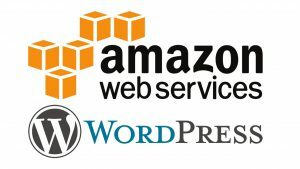 Hosting a WordPress website directly on Amazon Web Services can be beneficial from both a cost and functionality standpoint. Benefits of building a website with the WordPress CMS. In today’s online world, websites need to be dynamic tools that work for their owners. Businesses want to be able to integrate their software and tools into their website. Drift and Hubspot, Google Analytics, and other things they use in their business tech stack. When using a 3rd party hosting site, you are limited to only integrations they support. On the other hand, WordPress is a CMS that is used by 30% of websites on the internet. It is a free, open-source platform that can be installed on a web server to create a blog or website. Because it’s open-source, there is limitless flexibility to add and integrate software via plugins. Web admins who learn how to work and build with WordPress acquire a valuable skill. Not only for their own purposes but a skill applicable to millions of websites on the internet. Benefits of hosting a website on Amazon Web Services. 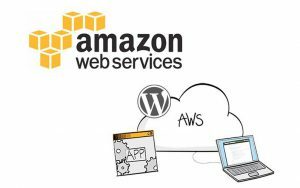 Amazon Web Services provides some of the largest companies in the world with cloud infrastructure. The cloud services they provide run some of the most advanced applications on earth. 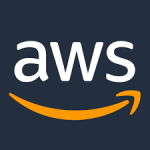 AWS provides resources like server compute power, storage, content delivery, and more at “pay-as-you-go” rates. Companies like Wix, Squarespace, and GoDaddy use this cheap infrastructure to host their websites. They then sell subscription access to those websites to consumers at a marked up rate. Savvy web admins can cut out the middleman. When you run WordPress directly on a web server hosted in AWS, you reap the befits of cheap, unlimited resources. Not to mention, a library of additional powerful services to integrate into their site. Although this may seem scary to DIY web admins, there is a huge benefit to understanding how your website is hosted and being in full control of the engine room. Being able to manage your server from the back end (server) to the front end (customer facing interface) is highly valuable. 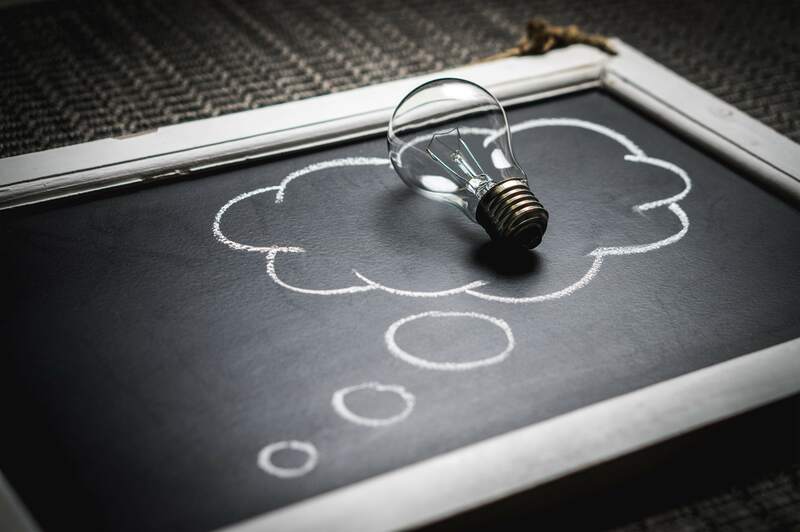 AWS offers many tools that will help you ensure your web server is up to date, secure, and backed up, and allows you limitless possibilities to grow your web infrastructure. If you are building a low-to-moderate traffic blog or website, you should be able to run WordPress for free on AWS for a full year via the free tier. This includes the server power (EC2), the storage (EBS and S3), media delivery (CloudFront), and more. The AWS free tier gives new users credit for these services for the first year. After the first year, you can pre-pay for 3 years of computing all upfront for up to 62% savings vs running your website pay as you go. Holding backups and using additional storage may cost up to 1-2 dollars a month. In this scenario, using the smallest available instance type (t3.nano) you’d get 4 years total of website hosting on AWS for under $100. Because of the scale nature of AWS, as your site grows over time, you can increase the underlying resources supporting it with ease. In my direct experience, if you are running a simple small business website, the 4 years for under $100 dollar total will apply. In comparison, GoDaddy’s managed WordPress as $3.99 per month would cost $192 dollars over 4 years. This also limits your storage, integrations, as well as the transparency of knowing exactly where your website is and what it’s doing. Looking into hosting your own WordPress website on AWS leads to many benefits. First, from a pure cost-benefit, hosting on AWS allows you full control of what you choose to spend on your website’s resources. You are not at the mercy of being upsold by a 3rd party and have an endless amount of cloud resources at your disposal. Second, you benefit from a flexibility standpoint. With thousands of WordPress plugins and integrations, you can incorporate your website into your technology stack in ways that help you achieve your goals. Self-hosting WordPress removes all limitations of how you can integrate your website with your goals. Finally, web admins benefit from a knowledge and enablement standpoint. By being more in tune with how your website is running “under the hood”, you start to understand more how web hosting works as a whole. AWS and WordPress are services widely used around the world and educating yourself to use them can be a desirable, even lucrative, decision. Want more insight like this? Subscribe to my weekly newsletter for WordPress on AWS tips and tricks delivered to your inbox.